Summerlong, a riverside restaurant in Singapore, is offering lovebirds a dreamy date-night experience for US$147 per person on February 14. 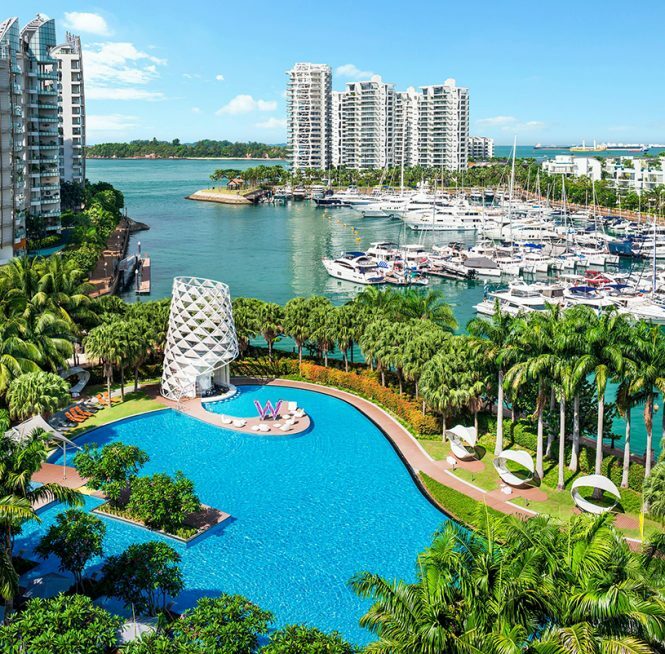 Guests will enjoy a romantic river cruise from Havelock to Marina Bay Sands for a waterfront light show, before returning to Summerlong via a water taxi for a three-course dinner. Menu highlights include freshly shucked oysters followed by a choice of two starters, tomato, and watermelon gazpacho or watercress salad burnt cucumber. Then, pick from two mains, barramundi fillet with pea sauce, young shoots, and dill or grass-fed ribeye with garlic jus. 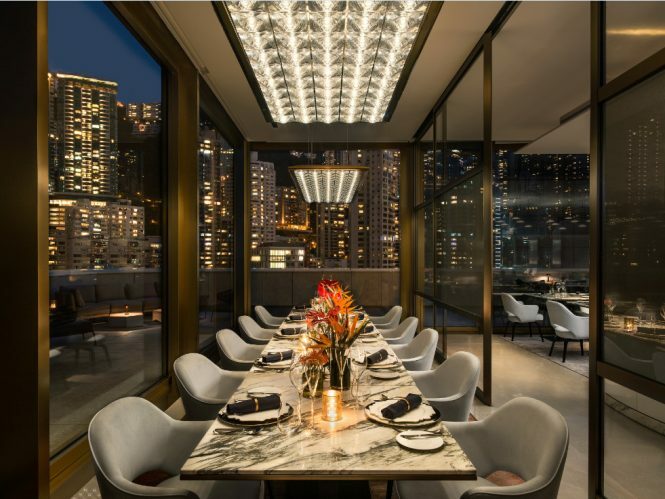 This Valentine’s, The Murray, Hong Kong, a Niccolo Hotel has come up with the Love Beyond Our Bounds package (US$700) from 14 to 15 February. Inviting guests to extend kindness for the less fortunate, the package lets them assist at the Food Angel Network, a charitable organization committed to reducing food waste and alleviating poverty. 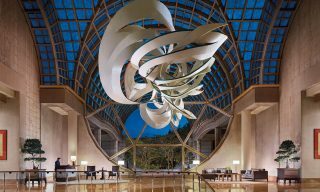 Other perks include complimentary breakfast for two, a welcome bottle of champagne and chocolate-dipped strawberries, a butler-drawn bubble bath, and in-room dining experience. To set the mood for love, each couple will also receive a single rose upon arrival, as well as a sketched portrait of themselves done during the meal. 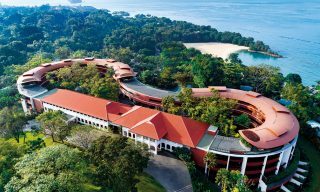 From 14-16 February, W Singapore – Sentosa Cove will present a special drive-in movie night (with no actual driving required) in collaboration with retro movie theater The Projector. Spend a night under the stars on the lush W Lawn as you lounge in the spacious Land Rover cars, which can easily cater to double dates or groups of friends. While watching films like La La Land, tuck into a decadent three-course meal from steakhouse SKIRT, featuring lobster and scallop rolls, crab on toast, and more. Prices start from US$205 with an option for wine pairing. Leave the bustle of city life behind when you whisk your loved one on a four-day Valentine’s Day adventure with The Sanya EDITION on Hainan island, China. The “Time For Two” package encourages couples to spend quality time with each other through memorable experiences like a helicopter ride over scenic Haitang Bay, a dolphin spotting cruise, diving, and more. 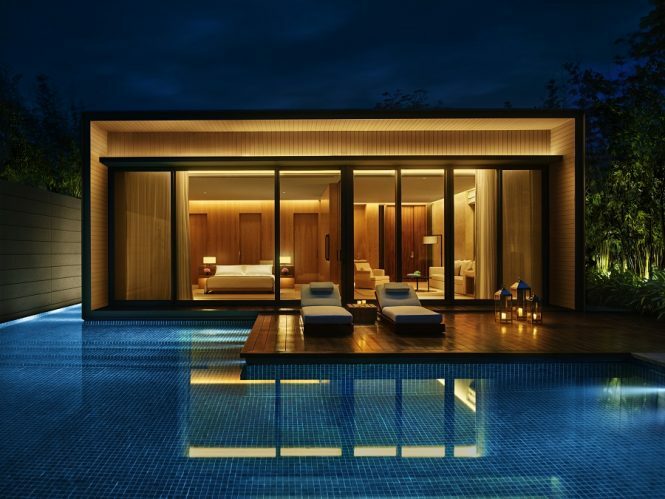 Stay in a one-bedroom villa and enjoy a sunrise picnic breakfast, a candlelit dinner on the floating deck, afternoon tea in a private cabana, a 90-minute couple’s spa session, as well as little treats like custom Frette bathrobes, Le Labo fragrances, and more. 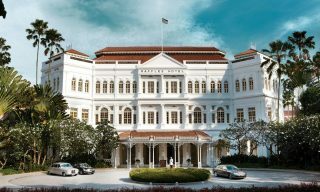 Prices start from US$10,378. 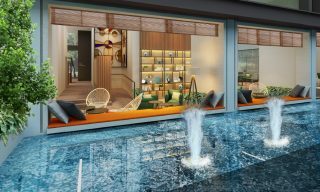 Designed to help you pop the question, Capella Singapore’s Proposal Package (from US$1,031) offers a one-night stay in a one-bedroom villa with a private plunge pool, poolside dining in the comfort of the villa, as well as a couple’s massage at the Auriga Spa. 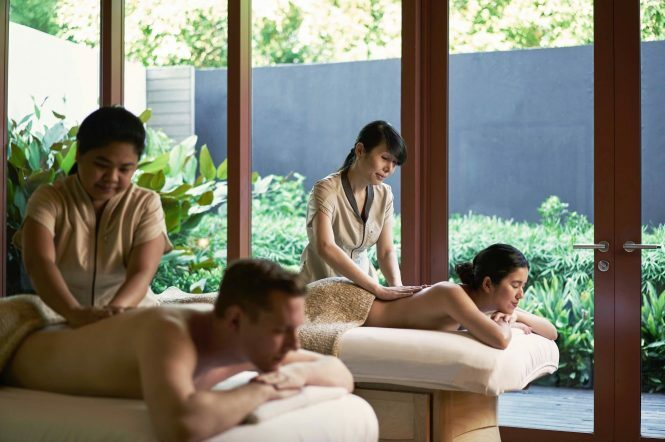 Kick back and relax with the Love Is In The Air massage package, which comes with welcome champagne, a 60-minute body massage, and a choice of 30-minute body scrub or hair and scalp treatment for two. The highlight of the evening is a romantic dinner for two, featuring an aphrodisiacal menu to set the tone for the proposal—guest appearance by a furry friend (who’ll double as engagement ring bearer) included. The package is valid for stays until February 17. 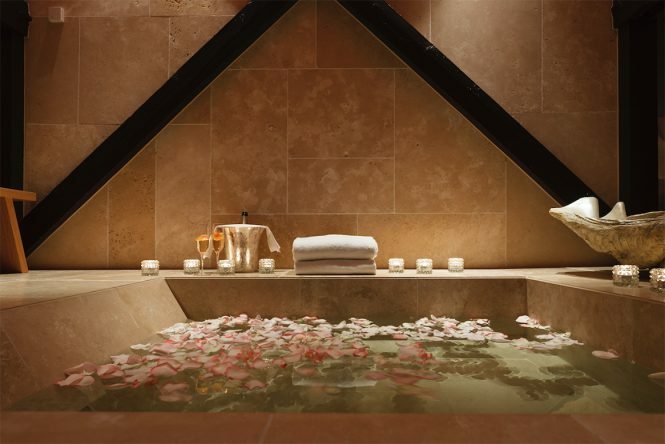 Luxuriate in a weekend of romance in Amsterdam at the Conservatorium Hotel with its Valentine’s Day package, which includes a two-night stay in the hotel’s “I Love Amsterdam” suite. The loft-like room comes with an oversized bathtub that overlooks the world-famous Rijksmuseum through floor-to-ceiling windows. Champagne can be enjoyed on the private rooftop balcony deck for picturesque panoramas of the city. Plus, enjoy a VIP shopping experience at the luxury department store de Bijenkorf, followed by a relaxing Oenotheraphy le Grand Cru treatment in the couple’s treatment room at Akasha Holistic Wellbeing. To top it all off, a private canal cruise will also take guests on a two-hour romantic journey with a drop-off at a restaurant of their choice.